I’m Amy, the new Conservation and Interpretation Assistant intern here at Standen and I’ll be here for the next six months learning as much about the house and how to look after it as possible! I’ve already been here a few weeks, so I’ve had time to pick a few favourite objects. 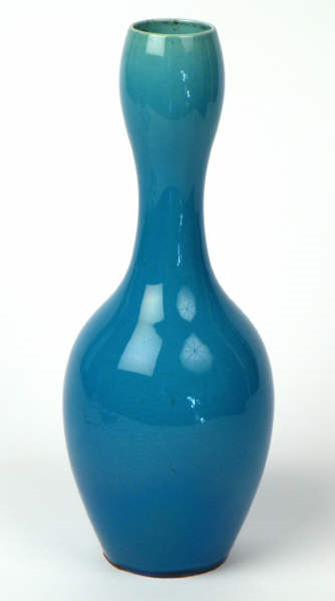 Having studied Japanese at university, the obvious choice was one of the many objects from Japan in the collection. This Japanese woodblock print on display in the hall was bought by the Beales on their World Tour in 1907. It cost £8 (about £800 in today’s money) and came from Mizoroki & Co in Yokohama, Japan on 11th May – the original receipt is still in the archive listing the purchase of an ‘old coloured print by Hiroshige’ along with a number of other artworks. Japanese prints, or ukiyo-e (meaning floating world because of their escapist, dream-like nature), were mass produced works of art printed with a series of carved wooden blocks, one for each colour. Hiroshige was known as one of the last great masters and was well known for his landscapes. He even inspired Western artists, in particular the Impressionists, with Van Gogh famously copying some of his other works. 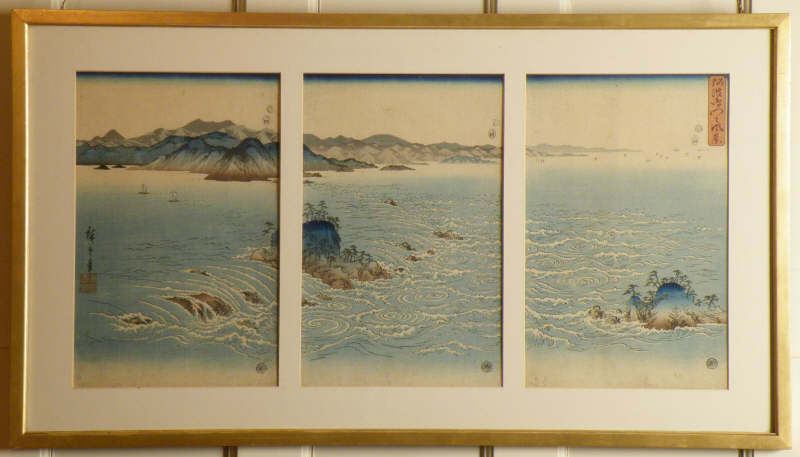 This print depicts a view of the whirlpools in the Naruto strait in Japan and is one of three triptychs in a series designed by Hiroshige in 1857 celebrating the natural beauty of Japan. In this instance there is a subtle mountainous landscape in the background with the swirling patterns in the water said to represent flowers. The Beales clearly had a good eye for art, there are also copies of this print in the collections of the Minneapolis Institute of Arts and the Museum of Fine Arts in Boston! Categories: collection | Tags: collection, Japanese, Objects in Focus, Standen, Woodcut, World Tour | Permalink.